Throughout the year, as I unpack new releases and stock and restock older favorites, I come across fantastic illustrators whose work is wildly accomplished and unique but has not yet garnered Caldecott award recognition. Some of these artists have earned enormous popular success; others haven’t. In either case, my mind is set to wandering, pondering what we value artistically and why, and the social contexts that influence all of us as we assess and award/assign significance to literature and artwork, especially that aimed at an audience other than ourselves. Maybe there’s an Aesop’s Fables curse. 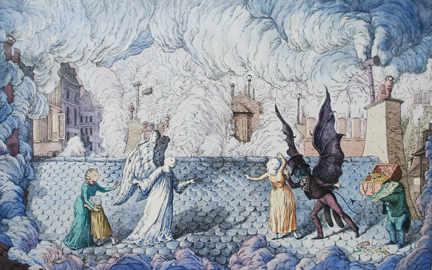 Both Pinkney and McClintock have taken on the tales, and perhaps there’s some Aesop-y moral about fame and art that reaches out an admonishing, award-stealing hand. But if that’s the case, Pinkney has bested it, and now it’s Barbara McClintock’s turn. Another worthy contender is the wildly original Judy Schachner. When I look at the Skippyjon Jones books and then scan the Caldecott criteria, I see a big check, check, check, check, triple check! 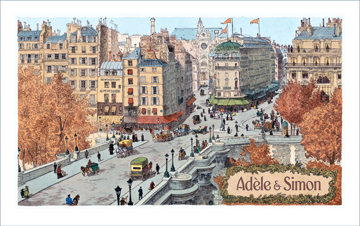 The artwork bursts off the page in glories of color and personality, humor and individuality. It is both bold and detailed (not an easy feat to pull off), brilliant and unusual, a vibrant artistic pleasure for adults as well as children. It is, in a word, distinct. It blends fantasy with realism, does some things with perspective and page layout that I haven’t seen done elsewhere (my camera is on the fritz; I’ll try to update the post with an example of what I mean by this), and is recognizably original — from space. The paintings are both lush and rampant with child appeal. The color palette in these books is phenomenal. So why hasn’t Judy Schachner won even a Caldecott Honor? Which artists are YOU ready to hop up on street corners to cheer, whose work you think is long overdue for some Caldecott recognition? This entry was posted in Uncategorized on September 15, 2011 by Elizabeth Bluemle. I hate to tell you this, but publishing companies HATE it when authors illustrate their own works and there is prejudice for doing so in the literary world. They want to control the illustrations to some degree because to them, the illustrations mean sales. Publishing is an elitist club and they don’t just let anyone play in their clubhouses. It is extremely rare nowadays for Caldecott to be awarded to a writer illustrating their own work. Half the time I feel this is to discourage overly talented people from taking the cake and the table along with it. 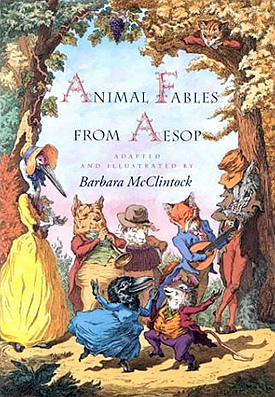 Barbara McClintock is one of the greatest illustrators working today, simple as that. Eric Carle, Kadir Nelson, Kelly Murphy, Mark Teague, Jane Dyer, Charles Vess, for all the obvious reasons. And Jason Stemple. The last is, my son and I am prejudiced in three ways: he is my son, we have done fifteen books together, and mostly because he is a photographer, and photography is rarely if ever considered as “proper” art for the award. Thanks for this list, Elizabeth. I have a long list of artists I love who have never one the medal, but am with Leda that it’s not for the artist, but for the book in that particular year. Some of the books you highlight might have had trouble with the text–which can be considered, especially when it detracts from the story. TOTALLY agree on Bagram Ibatoulline and Barbara McClintock. My other current fave illustrators — though I can be patient for them to win their Caldecotts, because I am still young dammit and I HAVE FAITH — are Tricia Tusa and Leuyen Pham. Kadir Nelson and Marla Frazee have won Caldecott Honors but I’d love to see them get medals. I work for the Moonbeam Children’s Book Awards, which was started for just this reason. Not only have certain notable illustrators been neglected by the Caldecott Awards, but independent and small press illustrators seem to have no chance against the larger publishing groups, despite some great talent. Chiming in a bit late. I’ve had the privilege of serving on the Caldecott committee, and one thing people may not realize is that the award isn’t for an artist who is well-loved, brilliant, and deserves the award. 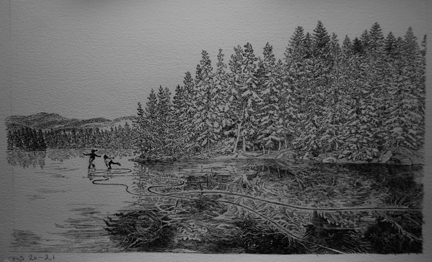 It’s for the most distinguished art in a picture book in That Particular Year. So all of the wonderful books mentioned here may indeed be deserving of a medal, but were they the best That Particular Year? I will never ever understand………how that powerhouse slipped under the radar. The House on Mango Street was not eligible for the Newbery Medal because it was published for an adult audience even though it is read by teens. The Newbery committee considers books published for children up through age 14. Regardless of the award, it’s always sad to see really great books go unnoticed because they were overlooked by various award committees. That’s not to say anything bad about committee members; that is a job I do not envy. I just wish there was a way to recognize more great books. There are so many of them! The Heartaches of a French Cat color print you show is almost a line-for-line copy of a well-known nineteenth-century Grandville illustration. Yes, Grandville’s work is in the public domain, but McClintock is hardly original for copying him. Hello, Hilary. Are you familiar with my book, THE HEARTACHES OF A FRENCH CAT, published by David R. Godine, that the drawing you refer to is from? HEARTACHES was based on the short stories of PJ Stahl and Balzac, entitled THE HEARTACHES OF AN ENGLISH CAT, and THE HEARTACHES OF AN FRENCH CAT. The stories were included in a collection, VIE PUBLIQUE ET PRIVEE DES ANIMAUX which was written as a vehicle for Grandville’s illustrations. The scene of Minette being tempted by her evil genius and her good conscience that you mention is from THE HEARTACHES, or ADVENTURES OF A FRENCH CAT. My book was a parody of the two original stories, and also an homage to Grandville, one of my artistic heros. The book won a NY Times Best Illustrated Book award, among several other awards, and was extensively ( and positively ) reviewed when it came out in 1989. The sketches, notes, dummy books, black and white ink drawings and color art, representing 8 years of research, revision, and execution of the finished art is on display at the Eric Carle Museum of Picture Book Art in Amherst, Ma. If you are able to visit the Carle Museum, I invite you to see the exhibit and then draw your own conclusion about the originality of the work. The Medal shall be awarded annually to the artist of the most distinguished American picture book for children published by an American publisher in the United States in English during the preceding year. .. Absolutely re: Barbara McClintock! Another one is Sergio Ruzzier. He has been creating intelligent, beautiful books for years. ‘Room of Wonders’ and ‘Amandina’ are gorgeous in every way. Not to mention his early work for Karla Kuskin’s ‘Moon, Have You Met My Mother?’. I can only hope that eventually he’ll get his just rewards. Bagram Ibatoulline. His paintings have a lovely luminous quality that I find breathtaking. 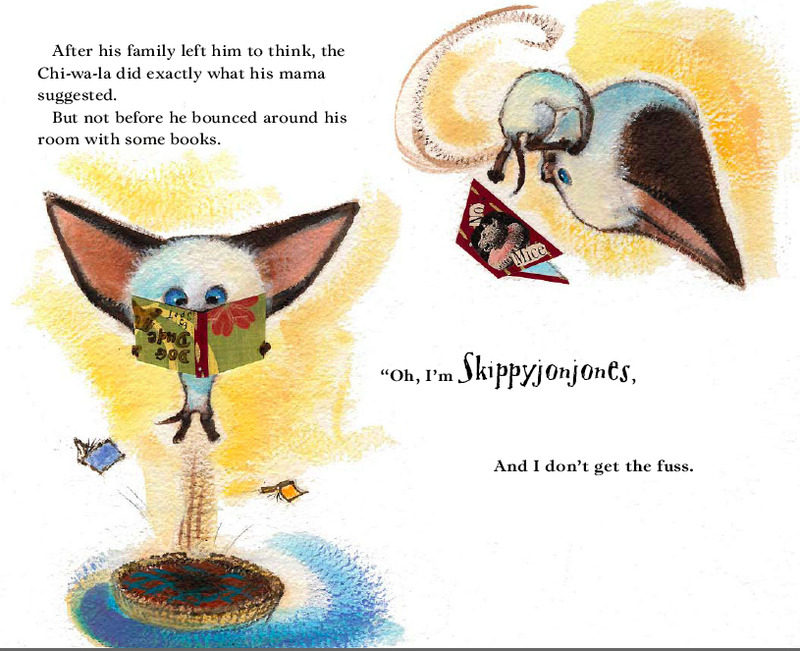 The Skippyjon Jones stories are a wonderfully enjoyable read for both children adults. The illustrations capture the fun and excitement of the story. Hope soon they will bestow a Caldecott Medal on this very deserving author. I am also appalled about the lack of suitable recognition of Judy Schachner. Not only for the Skippyjon Jones series, which is nothing short of brilliant, but her previous books such as Willy and May, and my personal favorite, Grannyman. Schachner communicates so eloquently and humorously with both words and of course, her art, that each year I remain optimistic that she will be honored for her extraordinary talent. Hear, hear! Barbara wowed me the first time I saw her work, too many years ago. Eric is a classic. Gennady Spirin—absolutely (underline and italicize that). I may be mistaken, but I thought the illustrator had to be an American. 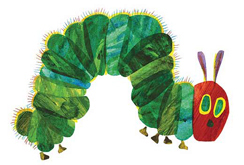 Eric Carle is german. 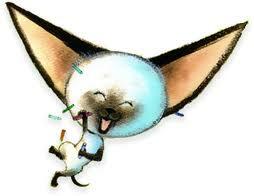 Eric Carle would definitely qualify. 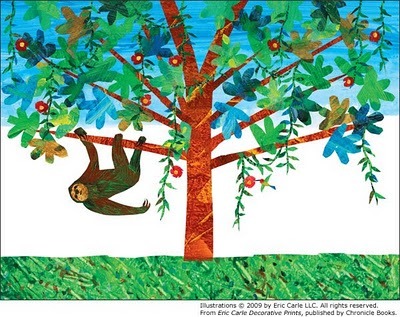 Eric Carle was born in Syracuse, NY, and moved with his family to Germany when he was 6 years old. I will go out and buy these books! inspiring. And yes, I adore Carle – bought his 1st edition of The Hungry Caterpillar to Florence for young next door neighbors back in the late 70’s as it was so captivating. So will also ck out the blog regarding his museum tour. Hudson Talbott….especially for Show Way by Jacqueline Woodson. Jeannette Winter. I thought an egregious error was made the year her book “Follow the Drinking Gourd” was ignored by the Caldecott Committee. (1) Correction: This is the correct way to spell Jeanette Winter’s name. (2) I neglected to add that one of my editor friends thought this book was also so well written (in addition to being intelligently illustrated), it could’ve been considered for a Newbery as well. The text reads aloud beautifully, even today. Boy, I am totally with you on Barbara McClintock. How about David McPhail? Is he American? Because I think his illustrations just ooze love and warmth and childhood — is there an artist on the planet who has produced a better bear? Tell Me the Day Backwards, Forwards, Sideways, Upside Down, just keep giving me more McPhail ursines. 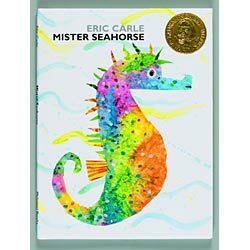 Has Carle never won even a Caldecott Honor? This shocks me. Julie Paschkis. She’s done such amazing work over the years, and she’s shown an incredible amount of growth and virtuosity. It seems like many of the same people get awarded time and again for very similar work, but to my mind growth and development as an artist is just as important as refining the original style with every new book. Salley Mavor’s Pocketful of Posies. What a masterpiece! Thank goodness the Boston Globe Horn Book committee has taken note. Ditto on Heart of a French Cat by Barbara McClintock. There’s a wonderful show from this book at the Eric Carle Picture Book Museum in Amherst–at least I think it’s still there. What a knockout!